Many thousands of Brits each year decide to move to the USA and one of the most popular choices of visa is a business visa. For some time there have been no opportunities for British citizens (excluding Northern Ireland) to apply for a green card. A green card is the diversity lottery in the USA where non-citizens can apply to see if they are lucky enough to be drawn and thus win permanent residency in the USA. As this hasn’t existed for UK residents for some time, many only have the option of trying for one of the many varied business class visas. If this is the only route you have, it is normally a good idea to use a recommended migration agent. One of the most common business visas available to obtain entry to the USA is the E2 visa. If you have approximately £150,000 to invest in an existing business or even in a new business of your own, you may be eligible for this visa. The E2 visa means that you can buy a business in the USA and live there in order to run the business. Thankfully, the UK is one of the nations that hold a trade and commerce treaty with the USA and therefore it increases your chances of emigrating there. In order to apply for an E2 visa, you must meet the standard requirements of providing proof you’re making a sound investment that will be a success in the USA. There are no limits on the number of individuals who can qualify for an E2 visa and therefore many people try this approach initially. One of the downsides of an E2 visa is that it doesn’t mean you can stay in the USA indefinitely. Normally you will be granted either a 2-year or a 5-year stay, but if your business is a success then you are able to extend your stay as long as your business remains viable. Many people will open a franchise in order to qualify for this visa or will look at existing businesses that are a success. This way it helps to alleviate the worry that you will be asked to leave if your business isn’t a success. This is always the negative aspect to entering the USA on an E2 visa and sadly can’t be avoided. If you’re financially well off and can afford it, one way of getting residency in the USA is to invest around £500,000 in a designated targeted employment area. What this means in layman’s terms is that you can simply invest money in an area that needs an employment boost and through this you will be granted a green card. Obviously this would be easy and nice if we all had that kind of money lying around. Assuming that most of us don’t however means that this particular type of visa is only accessible to the lucky few. If you are employed in the UK as a full time executive or manager then you may be eligible to apply for an L-1 intra-company transferee visa. This would depend on your company choosing to send you to their American office or sending you there to start up their office. To obtain this type of business visa you need to have worked at your area of employment for at least one full year in the previous three. Also, you must show that you are not taking the job from an American citizen and are a specialist in your area. This is simply so that people from the UK don’t start a job there that could have initially gone to an American citizen. This visa is only valid for one year primarily if the company is a fairly new one. It then increases in 2-year stages up to 7 years. During this time you can of course have your children and spouse with you and you can apply for permanent residency whilst there. The problem with many USA business visas is that nothing is guaranteed. You may invest a substantial amount of money into a business there, head over and make a life, buy a home and so on only to find out that your business fails and you need to leave. Even on an intra-company transfer visa you have no guarantees of staying in the USA permanently. However, the E2 in particular is an extremely popular visa and may be one of the few ways you’re able to enter the USA to live and work. It is certainly worth checking out and you may find a business you love there as well as a home. 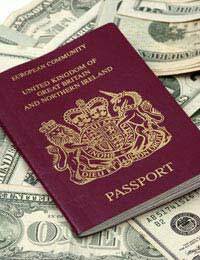 Do you have to invest £150,000 into the business in order to get the business visa. I have an interest in a commercial property with a friend but do not have that amount of money to invest, as initially I would have a partnership to continue with the existing business.Can you advise please? Hi. I am buying a baskin Robbins in Tulsa, I am leaving in a few weeks to check the business out, then hopefully buy it.Can I get the e2 visa in the US, or do I have to return to the UK?Also there are so many E2 immigration lawyers how to choose one? Hi, We would love to move from the UK to Tennessee. We own several rental properties in Scotland and I would like to know ifbeing a landlord is considered a business in the US?